1. To enhance climate awareness locally through conversation and interaction with people at a basic level. All people involved are randomly picked. 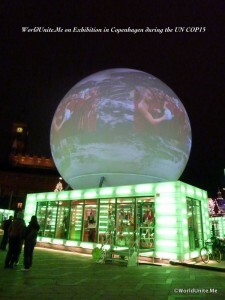 After an open dialog about their experience and understanding of the climate, a world globe is inflated as a ritual ending to the conversation. This is to make the experience memorable, and stimulate continued conversation with friends and family later on. 3. To unify people from around the world in an understanding of the challenges mankind is facing. This is done through exhibitions and presentations where the documented stories along with movies and photos are relayed. Every year the project goes to the UN Climate Conference (COP) and does an exhibition. Not as part of the official Conference, but in a public area, like a Square or street. The exhibitions are for the people, of the people and essentially by the people:o) So if the UN COP is Top-down, this project is Bottom-up. My name is Jens Louis Valeur Jaques. I am an artist and entrepreneur with a Bachelor in Performance Design & Business from Roskilde University and a Masters in Creative Leadership, Innovation & Entrepreneurship from Copenhagen University, the IT-University and the Danish Design School. Later I have supplemented with focussed masterclasses in Climate studies at respectively the department of Anthropology, the department of Sociology and the department of Political Science at Copenhagen University. film (Zentropa, Balboa film etc. ), music videos (Mew “Special”, Tim Christensen, Dorit Chrystler), music and sound (PolarSound, etc. 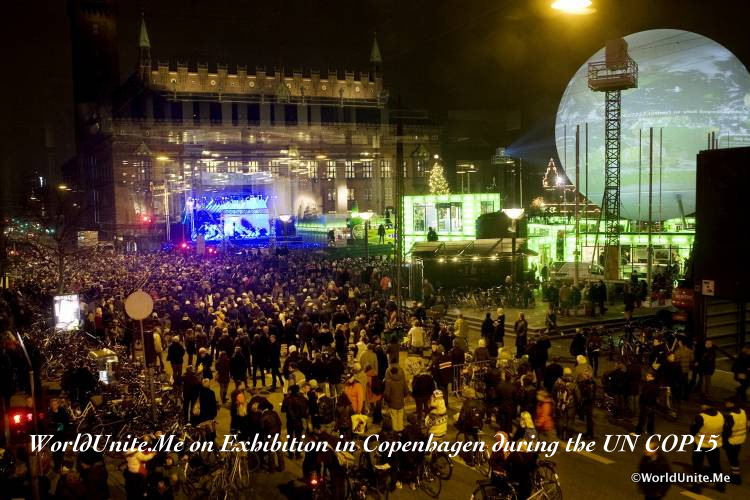 ), photography and painting (City Hall Square Copenhagen, The Royal Playhouse, Copenhagen Jazzfestival etc.) … The creative expression is what matters to me. The medium is irrelevant. As an entrepreneur, I have founded and upstarted numerous project including the Creative workspace “Multistudio – Højt til Loftet” – A Noah’s arc for 30 creative souls collaborating on Art and projects, the artist group Presens making small and big scale installations, the Academic group behind the Award-winning project and Concept “onePlaces”, etc. … I love upstarting and collaborations. My father, Ronny Jaques, was a photographer always traveling the world, and he planted a seed in me to do the same. 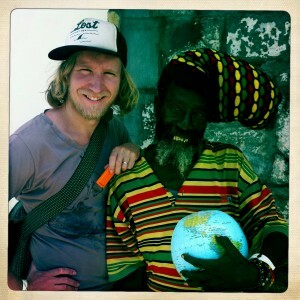 His death sparked my beginnings as a world traveller. However I needed purpose for my journey, and so I started this climate project. 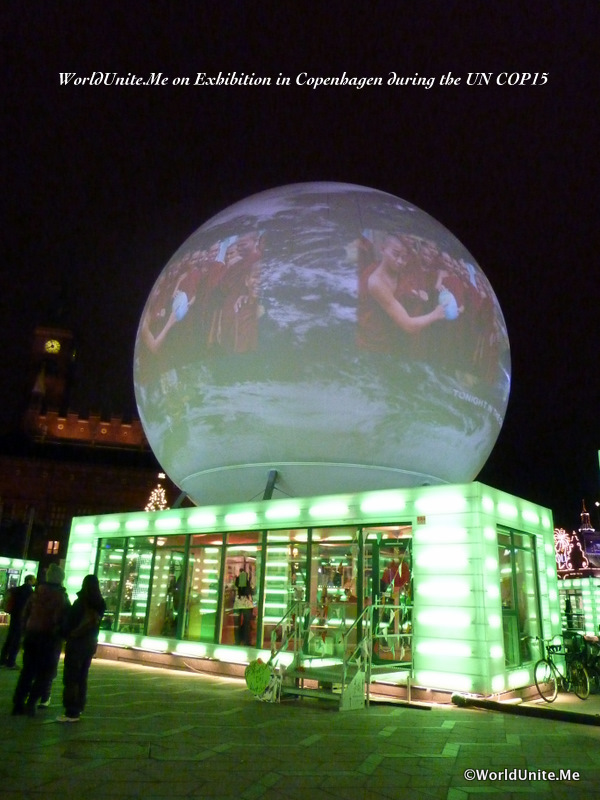 The project started out loose in form, with a focus on just talking to people about climate issues and local challenges, but always with the “artistic” ritual ending of inflating the globe and taking their picture. However, I soon realized that people where telling me stories I had not heard before, and I started documenting in more detail and insuring that a few certain question where asked every time, to make sure I got the full story and make the stories comparable . Five Years later, around 500+ conversations have taken place in 90+ countries. Every conversation is a little piece of a puzzle. A puzzle where you do not know what the full picture looks like. I have slowly started to put the puzzle together and it is fascinating and interesting to find correlation between conversations that are worlds apart and find that certain words are used in almost every conversation. I do not like locking in on a certain outcome, but rather letting the process and in this case the stories show the way. I am already doing exhibitions under the name WorldUnite.Me, with the photos every year around the UN COP meetings. Since 2008, millions of people have seen the Exhibitions around the world. 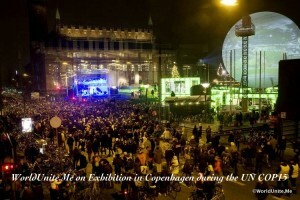 The pictures below are from the UN COP15 in Copenhagen on City Hall Square, where the images were projected on an interactive 100 foot large globe, and on exhibition at night during the 10 day long UN Climate Conference. Make a short introduction of the purpose of the research and ask about confidentiality issues. Is the interviewee is fine with sharing his/her name.